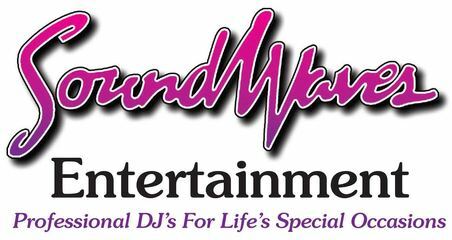 Soundwaves Entertainment can provide a Photo Booth or Photo Lounge for your wedding, corporate party, Prom or Homecoming Dance or Sweet 16 party. We offer 3 types of photo booths! We offer a Premier “Open Air” photo booth (our most popular and most affordable), a Kingdom “arcade style” (2 person) photo booth and also an “open air” photo lounge. The arcade-style photo booth can accommodate 2 guests at a time. Our “open air”photo lounge and Premier “open air” photo booths can accommodate up to 15 guests per photo. Our Premier ‘open air”photo booth is available in an all “All Digital” photo package and also a “Prints” package. The ‘All Digital package will allow your guests to either text or email the pictures or post to Facebook. Plus you and your guests will also receive a gallery link via email or text so you’ll be able to see all of the pictures that were taken during your wedding or event in the gallery! (Our “All Digital” package does not include prints). With our ‘Prints” package your guests have the same options plus they’ll also be able to request 4″ x 6″ photos to take home with them! Our Premier photo booth packages include an on-site attendant to assist your guests, endless props (hats, signs, etc…), Different themed backdrops, an option to print color or black and white photos, personalized photos with your wedding colors and your names, wedding date or wedding #hashtag, option to email, text or post photos to Facebook and a link to the event gallery with all of your digital photos available to download. Our Premiere “Open Air” photo booth packages start at only $549.99 for up to 4 hours. Kingdom Photo booths and lounges are the most technologically advanced in the industry. Check out these incredible features! Insanely fast classic double photo strips are printed and cut in only 7.5 seconds! Guests can instantly request a second set of strips or 4″ x 6″ prints and/or e-mail them while in the booth. Your guests can leave you a 30 second video message or greeting This is a complimentary feature! You’ll receive a USB flash drive with all of your video messages and photos! Touch Screen menu! Personalize the Welcome Screen and photo strips with your names, wedding or event hashtag, event theme or event date. The “real” experience in a truly professional looking, genuine arcade booth. Giant 19″ touch screen shows real-time video while taking pictures for added fun. Can be setup for instant upload to Facebook if internet access is available. If Wi-Fi is not available all pictures can be placed onto the USB flash drive and can be uploaded from your personal Facebook account later if you desire. The photo lounge is an “open-air” or “free-standing” photo booth that has all of the same features as the standard photo booth. It allows up to 10-15 guests per photo instead of just 2 guests inside the standard arcade style photo booth. It’s perfect for group photos and great for weddings, corporate and school events! We have 4 different packages to choose from. We’ll be happy to send you a list of our photo booth and photo lounge packages. Prices start at only $795 for 3 hours for a standard “Arcade Style” 2 person photo booth or Photo Lounge. Guest Video Messages! Guests can leave you a 30-second video message or greeting! Now included with all of our packages! Scrapbook included with our Ultimate and Timeless Experience Packages! Guests can place photo strips in a scrapbook and write a message for you next to the photo strips. You’ll be able to take the scrapbook home with you at the end of the event! These features are included with our Ultimate and Timeless Experience Packages only. The features can be added to our Simplistic and Basic Experience Packages.